The Russian Federation is one of the most important generating markets for Bulgarian tourism and has a major influence on the diversification of the services in this sector. Russia has ranked fifth on the inbound tourism chart in terms of number of visits since last year. In 2017, the number of visits was 558 thousand and during the first ten months of 2018 – over 496 thousand. This is what Minister Angelkova said at a working meeting with the ambassador of the Russian Federation to Bulgaria His Majesty Anatoly Makarov. 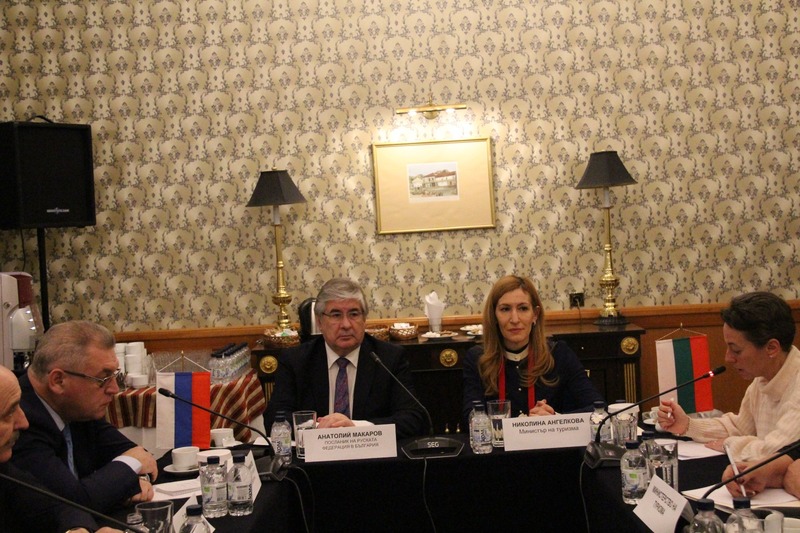 Representatives of the Russian and Bulgarian business also attended this meeting. The participants in the discussion talked about various measures and initiatives for increasing the interest of the tourists from both countries. Minister Angelkova thanked the diplomat and, through him, she also thanked the head of the Federal Tourist Agency of the Russian Federation Oleg Safonov for the excellent bilateral partnership which fosters the mutual tourist interest. We have a number of joint initiatives for both cultural-historic and pilgrims’ routes and also initiatives aimed at stimulating the organized children’s recreation, she said. The minister also reminded that ambassador Makarov and she also visited children’ s camps located along the Bulgarian Black Sea coast in order to inspect the quality of the services and the safety of the adolescents’ stay there. She also added that Russia has always stated that Bulgaria is also preferred as a destination by the Russians due to the fact that it is a safe and peaceful destination which offers a wide variety of winter, summer and specialized tourism. We can cooperate even more actively in order to stimulate the interest of the Russian tourists in balneological, SPA and wellness packages and also in the festival and pilgrims’ tourism, said the minister. She stressed the importance of the international tourist fairs at which Bulgaria is presented as a four-season destination. At the same time, the contacts with the Russian regions will be developed even more effectively to be able to popularize our country as an attractive place on the tourism map. Bulgaria will continue to be an active partner with the Association of Tour Operators in Russia (ATOR) because the interest of its members in our country is substantial. Minister Angelkova also assured that the Ministry of Tourism and the Bulgarian Ministry of Foreign Affairs have been working consistently in order to optimize the organization of our visa centres in the Federation by employing additional staff, so that the Russian citizens will be able to process their documents for travelling to Bulgaria more promptly. In addition, the telephone line for Russian tourists, which the ministry opened upon its establishment as an individual administration, will continue to exist. It provides support to the Russian guests not only by orientating them about the places to visit and stay but also in all cases when assistance is needed. Ambassador Makarov announced that the main focus within the scope of the bilateral relations in this sector will be placed on the safety of tourists. He highly appreciated the work of the ministry and the Bulgarian diplomats who have created a favourable environment for the stay of the Russian tourists. The diplomat also recognized the importance of advertising for tourism and the role of the media in the popularization the large resorts, the inland, the thermal sources and others. Minister Angelkova also said that she has launched an integrated communication campaign on the Russian market, which is expected to make our country even more recognizable as a destination for the Russian tourists. She stressed that we have been working effectively with global tour operators such as TUI and Thomas Cook, including on the Russian market. The Russian consul general Vladimir Klimanov also participated in the meeting and stated that the summer season has yielded very good results. The trade representative of the Federation in Bulgaria Konstantin Artyushin stated that the Russian tourists love visiting Bulgaria and expressed his hope that their number will continue to increase. In his opinion, Russia has turned its attention to the new directions in this industry such as fishing and historic tourism and he expressed his willingness to help Bulgarian tour operators find new partners, including in the regions. 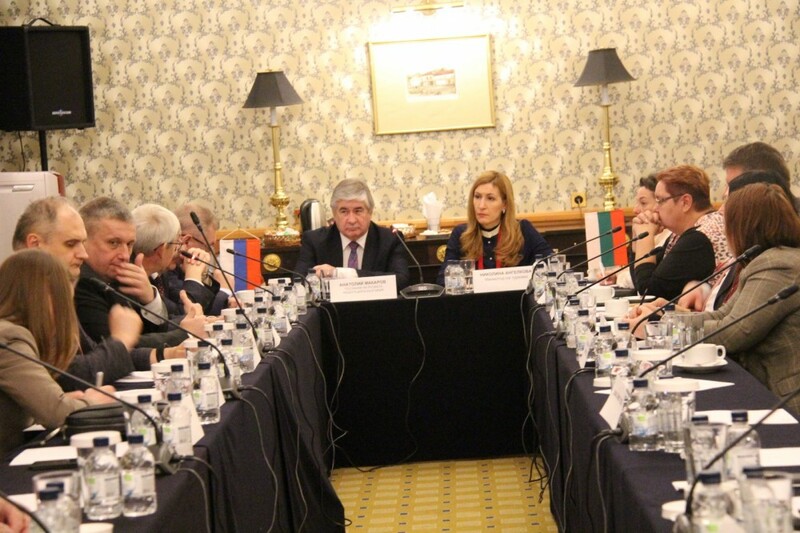 During the meeting of the joint committee, an agreement was reached to organize a Bulgarian-Russian tourist forum. Minister Angelkova supported the idea and suggested choosing a date in March or April next year. The administration of Albena resort complex confirmed that there was interest by Russian tourists and also stressed their capacity to accommodate more sports groups, participants in specialized sports camps and organized children’s recreation. Andrey Gromov, consul general of the Russian Federation in Ruse, talked about the unused capacity for extending the active seasons and organizing different types of tourism – balneological and SPA tourism, cultural-historic tourism, cruises along the Danube and others.